A documentary from Morgan Spurlock about America's obsession with Juicy Couture during the early 2000s isn't in the works. But it could be. Through Spurlock's production company, Warrior Poets, the documentarian has struck a deal with Authentic Brands Group, which has an extensive library of iconic brands and entertainment properties including the clothing line. 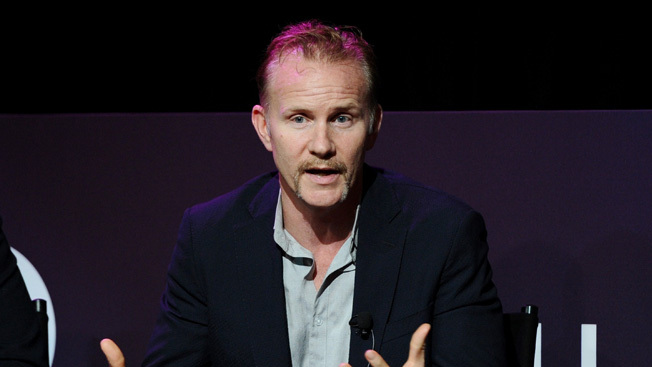 Under the deal, Spurlock will create scripted and unscripted projects for film, television and digital platforms. "We're at a point now where brands recognize they can create great original, distinctive content that isn't about selling whatever widget they make," Spurlock told Adweek, "that it can be content that's just funded by a brand that's original and different and actually entertaining." Spurlock, who is probably known best for his documentary Supersize Me, has already created branded content for companies like Toyota, Häagen-Dazs and GE. ABG's global portfolio of iconic fashion, sports and entertainment brands includes Marilyn Monroe, Elvis Presley, Muhammad Ali, Jones New York, Judith Leiber, Frederick's of Hollywood, Hickey Freeman, Prince, Spyder, Tapout and Tretorn. "This is changing the ad paradigm," said Nick Woodhouse, president and chief marketing officer of ABG. "This is the first time that a company like us, that's in the brand business, has actively sought out this kind of partnership and partnered with someone with the quality and level of a Morgan Spurlock to kind of change the way we advertise our brands." Woodhouse imagines the partnership could lead to content like a documentary on the luxury brand Judith Leiber. "You could do an amazing documentary on Ms. Leiber and how she came to this country, how she started her business and what it mean to her that people such as the first ladies of the U.S.—every first lady with the exception of Michelle Obama has used a Judith Leiber bag—use her bags," said Woodhouse. "So there's neat, compelling stories you can tell that aren't advertising and yet they are. It's different from a 30-second spot at the Oscars." Woodhouse expects the first work from the partnership will be announced in the spring of 2016, after ABG and Warrior Poets find a network or distributor. Then, that work should be released in the fall of 2016. "I'm not looking to turn Elvis Presley into the face of Coke," cautioned Spurlock. "The goal for us is to look at this epic library of content they have and help them create entertainment around it in ways they don't do."